No one knows the true secret to “Empire’s” success — because nothing has ever succeeded quite like “Empire.” In its first season, the Lee Daniels- and Danny Strong-created music drama has blown the doors off the TV world. Just look at what it’s already done. 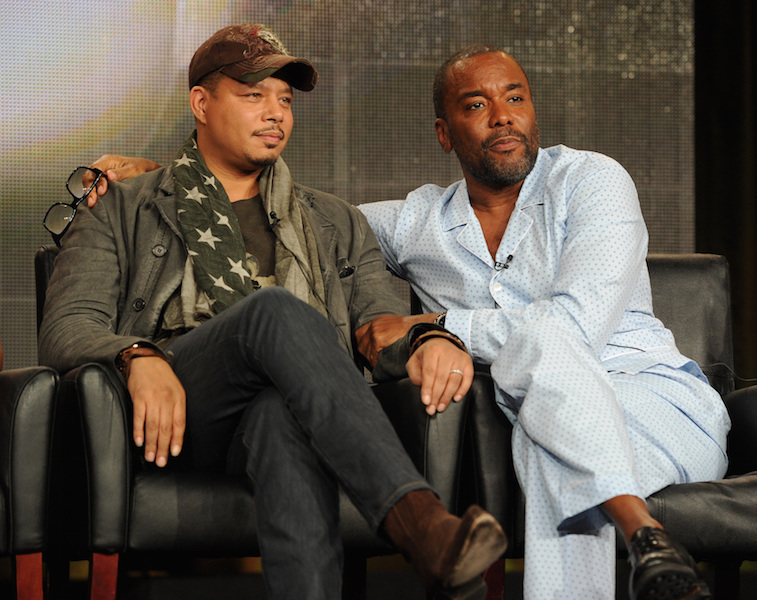 – The “Empire” pilot earned 14 million viewers during its first week across all platforms. For its latest episode, 14.2 million people watched in one day. 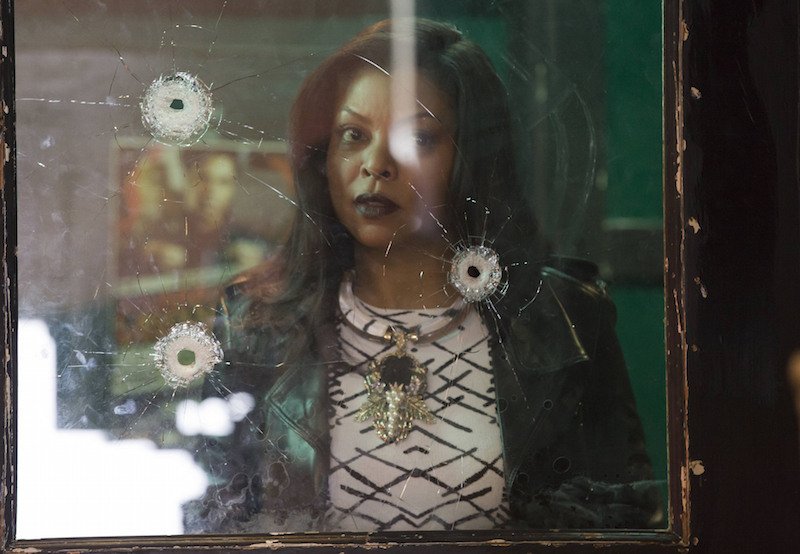 – “Empire’s” audience has been growing since the minute it premiered — literally. Viewership increased from beginning to end of the pilot episode and ratings have risen every week. – No series in the history of the Nielsen system (since 1991) has shown ratings growth more than four consecutive weeks following its premiere. 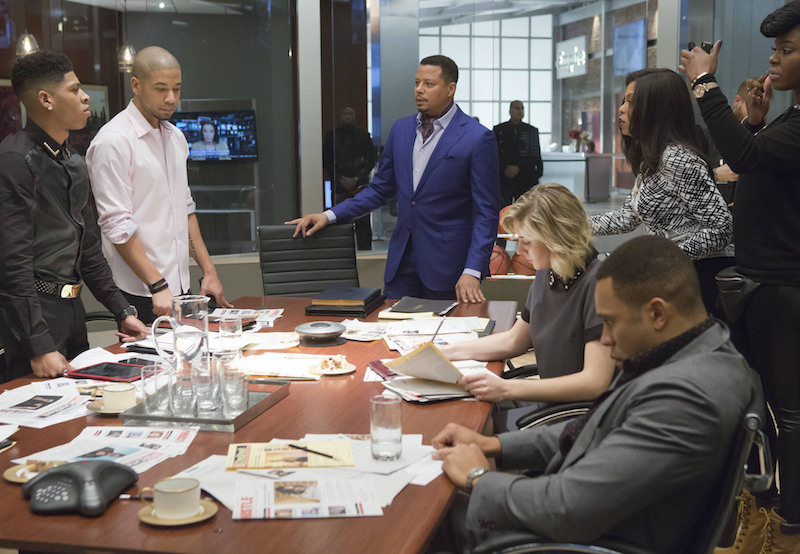 “Empire” has now done it for eight straight weeks. – The ratings share for this week’s “Empire” (5.8) matched the “Lost” finale and has surpassed “The Big Bang Theory” in the key 18-49 demographic, by more than 1 million viewers in back-to-back weeks. – Less surprising after reading these facts, “Empire” is now on track to not only become the highest-rated new drama, but the No. 1 overall drama. Given these unprecedented accomplishments, the question on everyone’s mind becomes, “How?” How did they do it? Many expected “Empire” to be a hit, and Fox executives are quick to point out they always had faith in the drama (boilerplate prose whether a show is good or bad), but no one can single out one singular reason for the series’ success. So here are seven that should help paint the picture. This point has already been driven home in the many stories already published about “Empire,” but it bears repeating considering a) it’s an important social issue, and b) Hollywood has been monumentally slow to catch on to the fact they can market to audiences who aren’t white, rich and/or men. Long before the “Fast and Furious” franchise pulled significant earnings from Latino audiences and Tyler Perry sold (awful) films to a largely black group of ticket buyers, there were many, many signs as to how one could make money by diversifying the product of entertainment. Just ask Sidney Poitier, Denzel Washington, Will Smith, Julia Roberts, Halle Berry, Jennifer Lopez and many other actors who made careers off selling to minority audiences. As for some stats, Episode 3 of “Empire” earned an astounding 76 share among black women between 35 and 49 after three days of views. That’s akin to the Super Bowl. If you’re going to be talking about modern diversity in television, Shonda Rhimes has to get a shout-out if not full credit. “Empire” was born after the success of Shondaland — Rhimes’ production company responsible for…well, every ABC show on Thursday nights — and the show is following its example, with a few extra twists (not literal twists, as nothing could have more twists than “Scandal”). Twists are a vital part of Rhimes’ success and have been implemented wisely to increase the pull of “Empire.” Without a surprise or two to get people talking the next day, many viewers may put off watching until God knows when. Sure, many would and do catch up online or via DVR, but it’s the the high levels of soap paired with actors who can sell it that make “Scandal,” “How to Get Away with Murder” and “Empire” shows fans have to watch live. Fox Broadcasting Company does deserve some credit here, even if they came to the project on Rhimes’ heels. After starting the marketing plan almost a full year before its release, the time slot and season in which they chose to premiere “Empire” made a huge difference in the ratings. First, they scheduled the buzzed-about debut for a winter premiere rather than in the fall. Doing so allowed them to roll out advertising on other shows with high viewership (rather than during the summer months when less people are watching TV), from the new hit “Gotham” — which had a built-in audience, thus making it a better fit for fall — to another major platform: NFL games. You would have been hard pressed to watch an NFC duel in December or January without seeing a spot for “Empire,” helping spread awareness for a series across multiple key demographics. “Empire” isn’t just climbing the Nielsen charts. It’s making a statement on Billboard, as well. 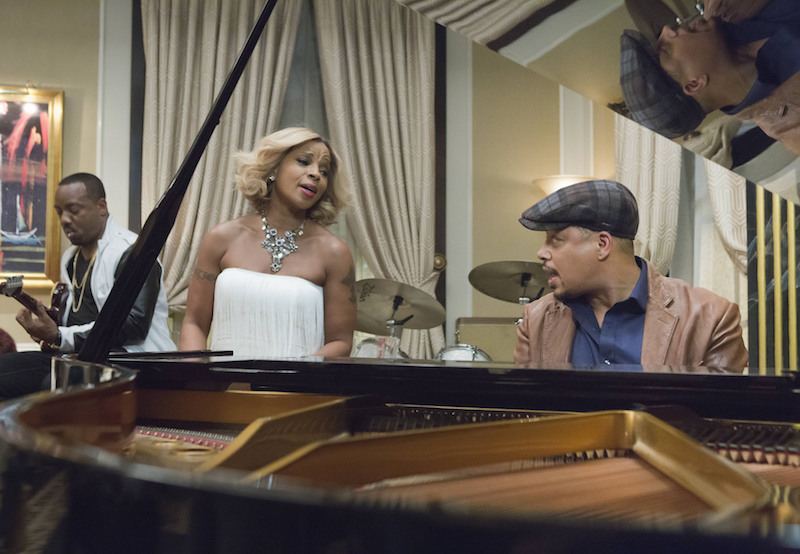 Much like “Glee” and “Nashville” before it, the songs released on “Empire” are dominating iTunes every week. The latest track, “Conquerer,” reached the highest point of any song yet, hitting No. 4 overall in just a matter of hours. This kind of artistic crossover helps increase revenue on a number of levels, as anyone who hears the song might tune in to watch the show and vice versa. But it also helped the marketing team behind “Empire” reach a broader audience before it even premiered. In an interview with Vulture, Fox TV Group’s Chief Operating Officer Joe Early said, “Music was clearly another access point for the show. So we did a lot digital and terrestrial radio, and we partnered with Columbia Records on an overall plan regarding the show’s original music, including using the song ‘No Apologies’ in promos across platforms.” Accessing that audience has proven a key component to why people keep coming back for more. According to the same article, Fox executives didn’t expect “Empire” to do as well as it did straight out of the gate. Instead, they planned an aggressive marketing campaign for after its series premiere, expecting to use positive word-of-mouth to their advantage. Part of this strategy included making the “Empire” pilot available on VOD hours after its premiere instead of the next day (or later). After it debuted strongly, they kept the same strategy in place, which undoubtedly helped establish the ongoing record for increased viewership on a week-to-week basis. Aptly fitting for a man whose dramas focus on extremes, Daniels’ box office performance is either far better or far worse than expected. “Shadowboxer” earned only $370,000 despite premiering at TIFF and featuring an appealing cast (Cuba Gooding Jr. was still somewhat enticing in 2005). Then “Precious” pulled in $47 million off a $10 million budget despite its harrowing (and ultimately off-putting) subject matter. His follow-up to the Oscar-winning adaptation featured his best cast to date, but “The Paperboy” couldn’t crack $1 million domestically even with Nicole Kidman, Zac Efron and Matthew McConaughey. Then, after much turmoil over its title, “Lee Daniels’ The Butler” raked in $116 million in the late months of summer 2013. Perhaps the lesson to be learned is no matter how high “Empire” climbs, it’s just as likely Daniels’ next project will bomb. On the late great sitcom “30 Rock,” the ultimate American businessman Jack Donaghy often cites the need for a “third heat” when it comes to selling a product. The term comes from “his” breakthrough invention, the trivection oven, a microwave using three heats to cook food five times faster. During the pilot episode, Donaghy uses the item’s profitability as a metaphor for what’s needed to make Liz Lemon’s TV series an equally veritable success. In that instance, Tracy Jordan was the x-factor for “The Girly Show.” “Empire” is using the same “third heat” that launches most shows beyond good numbers to great ratings: people like it. No matter who’s in it, what the marketing team does, or what critics say, if most Americans don’t like a TV show, it’s going to go away. Bad movies can prove to be big draws, but that’s only because they don’t have to come return in a week with a product expected to be just as good if not better. “Empire” has proven itself to be an appealing series thus far, with many devout converts already in tow (one of whom might be an Indiewire editor who pressed incessantly that this story be written). Many expected the fire to start fading a bit by now, if not extinguish entirely. But for at least one more week, “Empire” rages on.